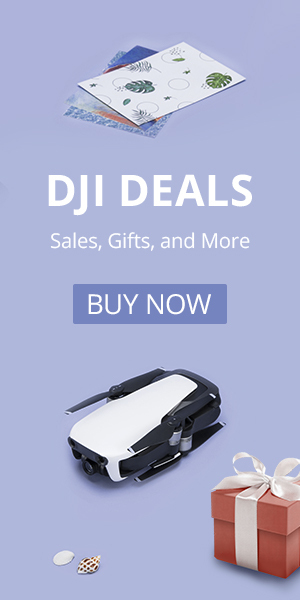 DJI Phantom 5: Check Out the Awesome New Features! There is little doubt that DJI’s Phantom 5 will have some awesome new features. 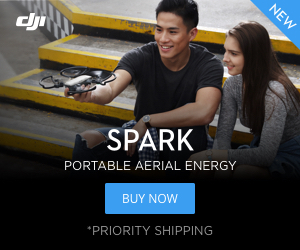 But what does DJI have planned? We have some insights based on what we have seen and what we know about DJI. DJI has scheduled an announcement July 18. Will we see its release then? If you don’t want to wait for the Phantom 5 take a look at DJI’s newest the Mavir Air. First, we will go over the features that we are pretty certain the Phantom 5 will include. Then we have some fun and list the features we would like to see in the next release. These six changes are the most likely improvements to the Phantom 5. The Phantom 5 will have a longer flight time. The Phantom 4 Pro can fly up to 30 minutes. We expect the Phantom 5 to be able to make it 35 minutes. The Phantom 5 will have a longer range. The Phantom 4 Pro has a range of 7000 m. We expect the Phantom 5 to have a range of at least 8000 m, but potentially even up to 10,000 m. While it may or may not exceed 7000 meters you can bet it will have excellent signal strength. The Phantom 5 will have a better camera. The Inspire 2 has a 5K capable camera. We would be surprised if the Phantom 5 doesn’t follow suit with upgraded video processing. It is more than likely that the Phantom 5 camera will have interchangeable lenses. Take a look at the leaked image below. Leaked images show removable lenses. For the Inspires, with micro 4/3 lenses, DJI relies on lenses made by Panasonic and Olympus. But with a recent partnership with Hasselblad, the Swedish camera company, maybe DJI is looking to get into the lens business. Learn more about DJI’s Phantom 5 aspirations in our video below or on our article dedicated to the topic. Why not make the Phantom 5 camera so that DJI proprietary lenses could be swapped out to change the focal length (and field of view), improve image quality with higher end optics, or lower f/number for twilight flights? Given the 12 pins shown between the camera body and the lens, we are also expecting a zoom lens option. Our friend OsitaLV has put together some renderings of the interchangeable lenses. The DJI Matrice lineup can handle rain. Soon the Phantom should be able to as well. And What Else Will the Phantom 5 Offer? DJI has consistently improved flight time, range, camera quality, and obstacle avoidance with the latest new product releases, so we expect most, if not all, of the upgrades listed above to be realized in the Phantom 5. DJI does not have a history of resting on their laurels, so we think there may be some surprises as well. Next up is the Half Chrome dream list, we would love for at least one of these features to make it into the Phantom 5. 1. Waterproof drone. Swellpro has proven that waterproof drones the size and shape of a Phantom are possible. How awesome would it be to fly your Phantom at the beach and not have to worry about getting it wet? They might not make all Phantom 5s waterproof, but maybe we can hope for a dual release with a Phantom 5W model that can handle the elements and take off out of the water. 2. Removable camera. The Phantom camera is good, but wouldn’t it be nice if you could take it off and use it as an action camera. Removing the camera would allow you to replace it, upgrade it or even swap it out with a 360 degree or thermal camera. 3. Retractable legs. Why don’t the legs retract? (Actually, they probably don’t retract because the antennas like to stay vertical in the legs.) With the legs out of the way, you could have a gimbal that rotates 360 degrees or you could put on shorter focal length lenses. The Phantom 5 legs could fold easily into the arms of the drone. 4. Second FPV camera. A second stationary lag-free camera could allow the pilot to fly the drone with an FPV headset while a second cameraman operates the camera and gimbal. The Inspire 2 has this feature so the Phantom could follow suit, but only if they also add retractable legs. 5. Higher top speed (even higher). The newest Phantom should be able to hit 50 mph, why not. 6. Laser beams. Maybe not, but we want drones with fricken laser beams! Until this awesome drone comes out you’ll have to settle for the still awesome, but laserless Phantom 4 Professional. What about the upcoming DJI Mavic Pro II? We have some ideas as to what the upcoming DJI Mavic 2 might be. Check it out here. Is there a Spark 2 in the works? The newest addition to the DJI Spark lineup is on the horizon. What will it be? Check it out here.